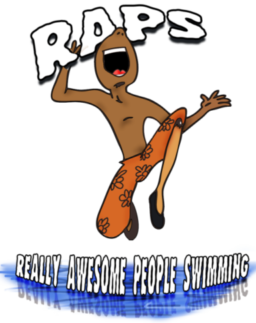 Virginia Coastal Connection proudly supports RAPS – Really Awesome People Swimming. We donate a portion of every closing check to RAPS. We thought RAPS was such a worthy cause that in 2015, Virginia Coastal Connection submitted a request to The Rose and Womble Foundation requesting a donation to RAPS. In 2015, VCC proudly presented to Leslie Paul, founder of RAPS a check for $500 from The Rose and Womble Foundation. We continue to donate a portion of every closing check to RAPS. Leslie Paul founded the RAPS Program in 2007 after learning about the high drowning rates among the minority population and knew that she could make a difference in the Hampton Roads area. The program is in partnership with Timberlake Community Association, home of the RAPS Program, and The Noblemen. In 2009, the name and logo of the program were trademarked . Also, RAPS became a non-profit entity in Virginia and has received 501(c)3 status from the IRS, meaning that all donations are tax-deductible! Children who attend the RAPS(tm)lessons usually have little to no experience in the water. Our staff and volunteers are dedicated to making sure that their experience is a positive one. We are able to keep the instructor/student ratio down to 1:6 so the children may learn as much as possible within the week time frame. Water safety is also a big part of our lessons. The drowning rate among minority children ages 5 – 19 is 5 times higher than that for whites. 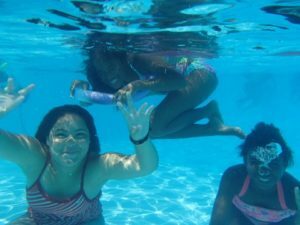 Minority children aged 10 – 14 are more than 5 times more likely to drown than their white peers. Lack of swimming skills closes the door to many job opportunities such as teaching, advancing in the Army or Navy, being a marine biologist, just to name a few. Swimming is a lifetime sport. People can swim long past the time that they can play other sports. RAPS is proud to be recognized as a 501(c)3 tax free Non – Profit and 100% donation funded! Without our very important sponsors, shareholders, volunteers and donations the program would cease to exist. There are many opportunities for individuals or corporations to help the program. You can also help through sponsoring a child for just $55.00. This fee per child covers a full week of instruction, pool time, giveaway items, and American Red Cross support fees. Other donation options are tee shirts, swim caps, towels, or giveaway items for the children — with varying donation levels. Contact RAPS for details. It is truly amazing what these children can accomplish with just a single week of lessons! Nobody can put a price on the life of a child that we may prevent from drowning. Watch our interview with RAPS Founder Leslie Paul and Virginia Coastal Connection’s Nancy Sorg in the following WVEC Coastal Connection. The interview starts at 5mins.